Both the Gear VR and Android versions can now be sync’ed with your Google Drive, allowing you to save your renders to a sync’ed folder on your PC and then access them from CoronaVR without having to manually move the images to your phone (though you can still do that if you want). 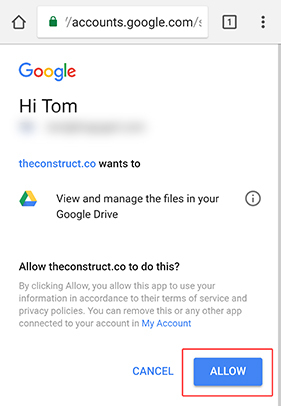 You will need a Google Drive account – it is free to set one up if you don’t already have one. 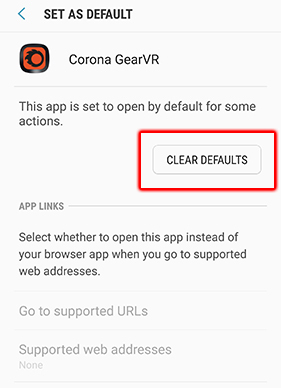 Important note: for your privacy, the app will ONLY have access to a folder called #CoronaVR and nothing else on your Google Drive. The access to that folder is read-only. 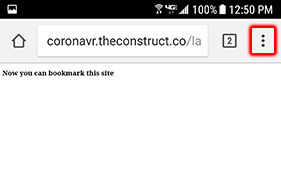 Now, so long as your PC is set to sync with Google Drive, you can simply save your renders to the #CoronaVR folder in your Google Drive location on your PC, and they will be accessible from CoronaVR on your mobile device. One thing to note – if you add new images to the #CoronaVR folder, you will need to restart the CoronaVR application for it to sync with those new images. 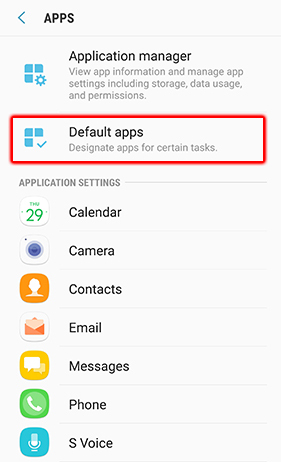 You can sync both the Gear VR and Android versions to Google Drive if required. Follow the process above to sync either version. and then follow the steps below to sync the other version of the app with Google Drive. 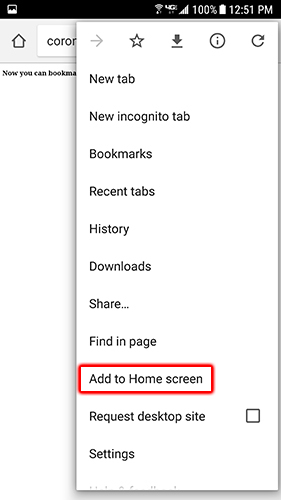 Now you can repeat the synchronization process as before, only this time choosing the other version of the app at the prompt on the final screen. 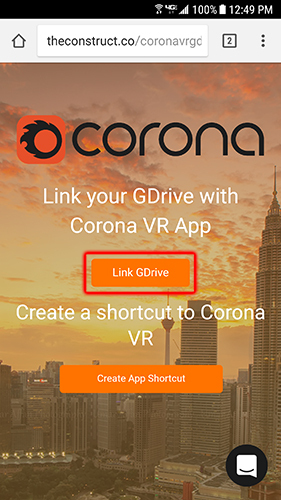 Easy is always best, and now you can run the CoronaVR app for Gear VR direct from a shortcut on your phone’s desktop without having to go through the Gear VR / Oculus environment first! And your icon is created! In the future, it is planned that you will be able to customize the image used as the icon. 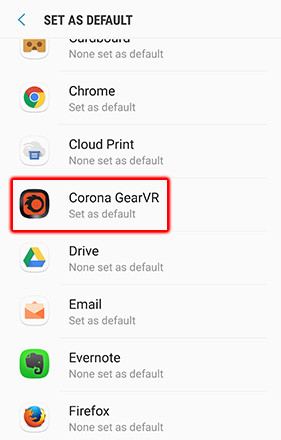 Now when you tap the icon, the Corona GearVR app will run directly with the prompt to insert your phone into the Gear VR – as soon as you do, you will be straight in to CoronaVR without going through the Gear VR / Oculus home environment (you can still access it from the Gear VR / Oculus home environment if you wish, of course). 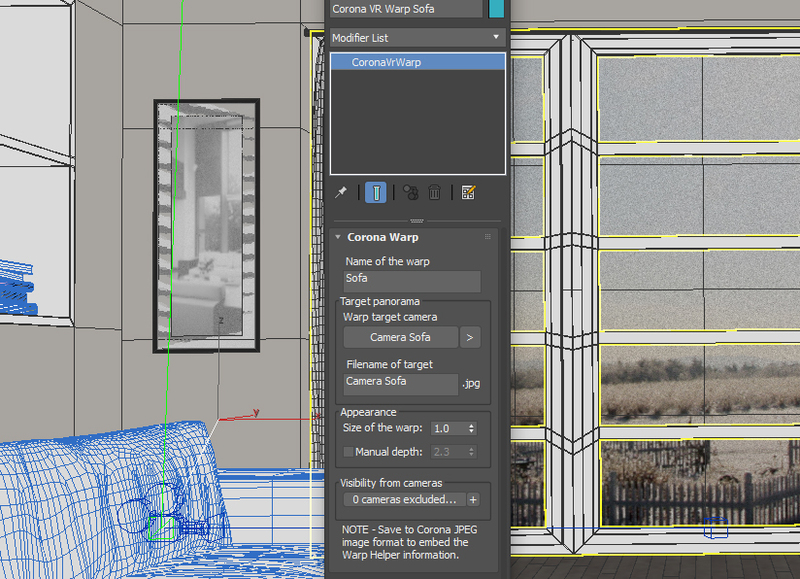 The Corona VrWarp helper object (named CVrWarp in 3ds Max) lets you create a walk-through using only 3ds Max with no external editor required. Simply set up your Corona VrWarp objects, render to Corona JPG, and move those images to your Google Drive #CoronaVR folder (or manually move them to the Downloads folder on your phone), and you are done! 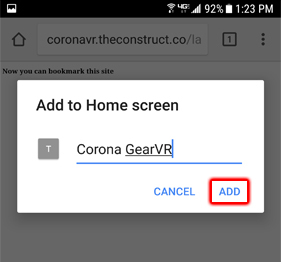 This will work with the Gear VR and Android versions of the CoronaVR app (and future versions for other platforms such as iOS and Daydream). This offers several advantages compared to adding the Warp Points manually in the desktop editor. First, the Warp objects can automatically detect how far away they are from any camera and so will appear with the correct depth in the CoronaVR app. In an external editor, you will need to manually calculate what the distance should be and enter that yourself. Next, you only need to create a Warp one time, and it will appear in every relevant image. 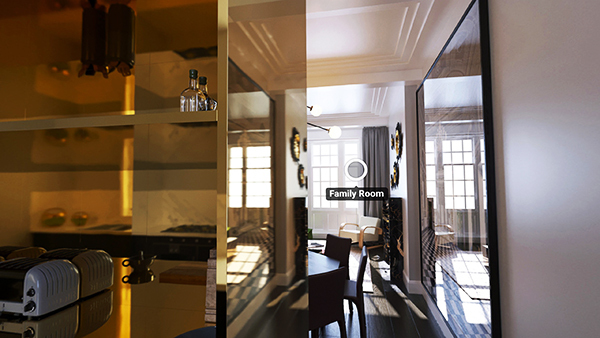 For example, if you have a Warp Point that is visible from three different cameras, you simply create it once and it will appear in the three renders from those cameras. With an external editor, you’d have to manually add the same Warp Point three times, once in each image. Last, it means you can create new views, or re-render existing ones, and know that the necessary warp points will already be embedded. You can still use the desktop Warp Editor to adjust or edit those Warp Points if needed, without having to re-render. 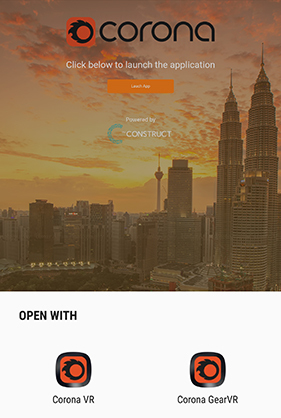 The CoronaVR app has updated to offer improved performance and improved visual quality. 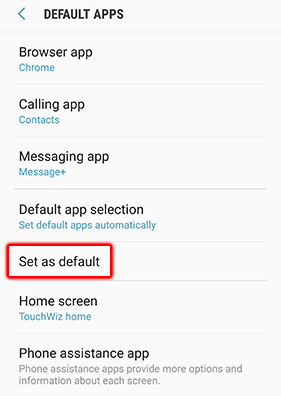 A quick note for those using the Android version – you may choose to disable automatic adjustment of brightness (which may get enabled during an OS update) to avoid the dimming of the image when the phone is inserted into a Cardboard viewer. Is there a additional cost for this service? It’s free while in beta, and the current plan is there will always be a free version alongside a paid version. 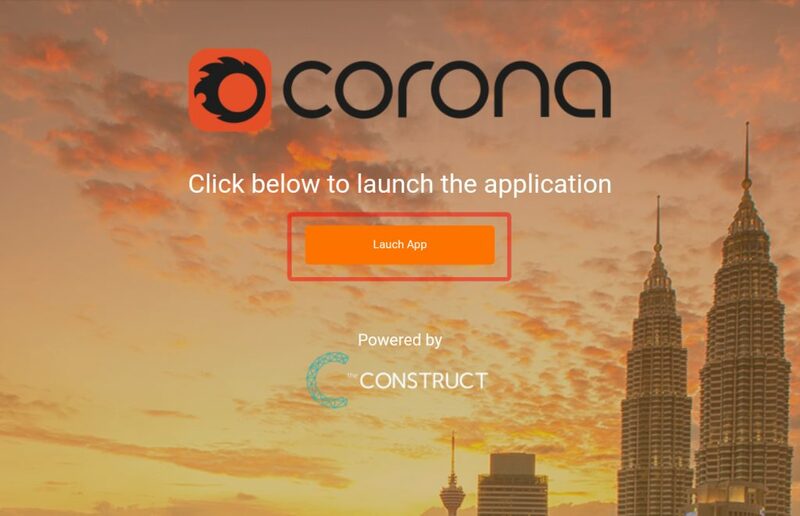 You can find some discussion on the plans in the first blog on Corona VR at https://corona-renderer.com/blog/introducing-corona-vr/ and more details on pricing, the differences between the free and paid version, etc. will be announced when the final release nears! 1) Desktop icon was easy to create, the icon came out like [ T ], no Corona-icon. 2) GoogleDrive sync worked too. both of these didnt work anymore. 1) desktop icon cant connect to the internet ..
2) as I launch CoronaVR from Oculus menu, there are only the demo-walktroughs.